What are the highest THC strains in the world? THC, also known as tetrahydrocannabinol, is the compound found in cannabis that has psychoactive properties and gives you the feeling of being high. According to the National Institute on Drug Abuse (NIDA), THC has an affect on things like thinking, memory, pleasure, movements, concentration, coordination, and sensory and time perception. For these reasons it is recommended that people should not drive or operate heavy machinery when under the influence of Marijuana. Aside from these physical and mental affects THC has been shown to offer many health benefits including helping people suffering from PTSD, eating disorders, anxiety, depression and anxiety. Back in the 60’s when people tended to smoke ‘grass’ with pollinated flowers full of seeds THC levels were around 1%. 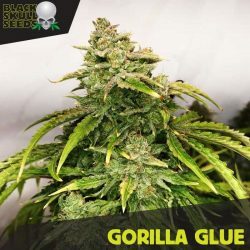 With the advent of the creation of new hybrid cannabis strains in the 90’s such as Skunk no.1 and Afghan Kush, THC levels jumped massively to around 10%. Then as cannabis laws relaxed around the world and breeders were able to experiment more freely in places like Holland, Spain and now the USA the boundaries of where THC levels can go have been pushed in the the high 20’s and even over 30%! Green Gelato from the Spanish seed bank Royal Queen seeds boasts THC level of 27% and is described as “the most deliciously dank hybrid in the whole RQS collection”. Tangerine dream from Barneys Farm is cannabis cup winning strain with THC levels around 23%, which when it was released over 5 years ago made it the strongest strain on the market. 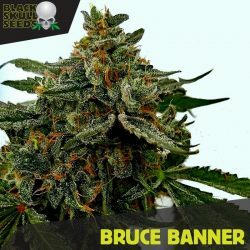 Even though it is no longer the highest THC strain its still packs a punch and is a great strain which produces some incredible yields. Lemon Zkittlez from Dutch passion is listed as having THC levels of over 20% but some examples have been tested in labs and shown THC levels of 27%! Whatever way you look at it, this new strain is incredibly potent and along with its delicious flavour and huge yields it is quickly becoming a cannabis classic.